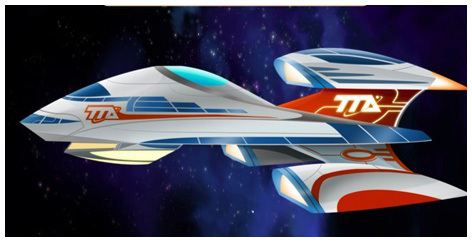 Always quick to spot a hot new kids TV show, Tomy were first out of the blocks to snap up the toy licence for the Miles From Tomorrowland products. Their hero product features the Callisto family’s home base space ship known as the Stellosphere. This awesome ‘three space ships in one‘ toy has great transforming abilities as it also includes a Zip Ship, a Mini StarJetter and an XVR Cross Vehicle Rocket System. This part attaches the Stellosphere to all other vehicles in the Tomy collection and includes a great selection of lights and sounds that feature in the show. As fans of the show will know, Miles favourite form of transport is the Blastboard. This skateboard inspired design is included in the Maximum Miles figure set, another great Tomorrowland toy from Tomy. It’s also available as a role play toy that has three built in games with more awesome lights and noises. 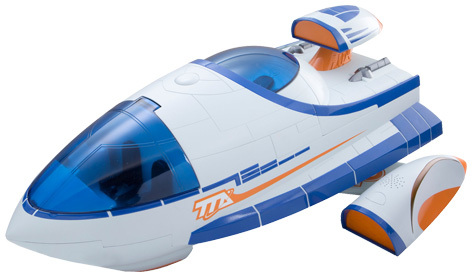 Please tell us what you think of the Miles from Tomorrowland Stellosphere by Tomy.